Last Thursday, I had the pleasure of meeting Amanda Jean Nyberg, blogger at Crazy Mom Quilts and co-author of Sunday Morning Quilts. 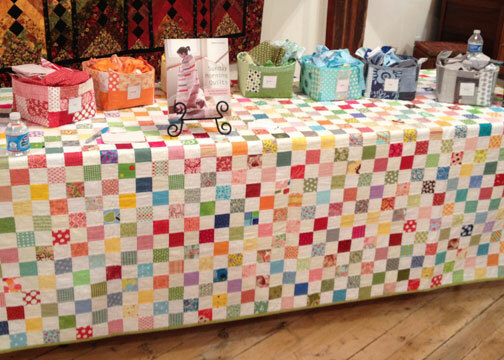 It was a small and intimate venue at Mill House Quilts in Waunakee, WI that consisted of a trunk show and book signing. Let me just say, if you have not purchased this book yet, I strongly advise you to ASAP! 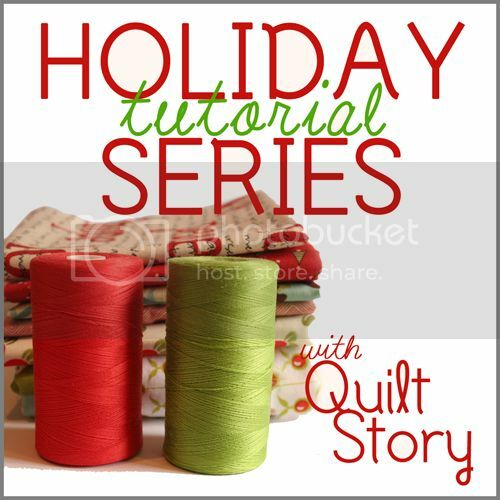 This book is filled with wonderful projects and terrific information on scrap quilting. 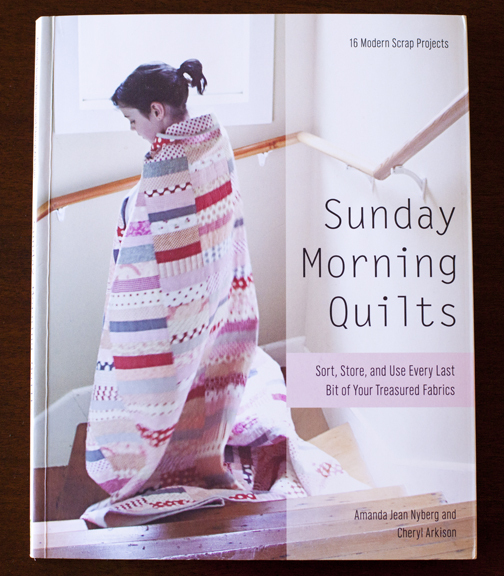 I only needed to see the quilt on the cover to know this book was for me. 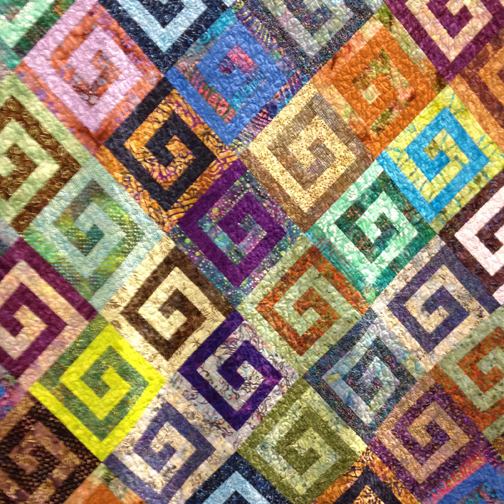 Getting to see the quilts first hand and to hear the stories behind their creation was so inspiring. 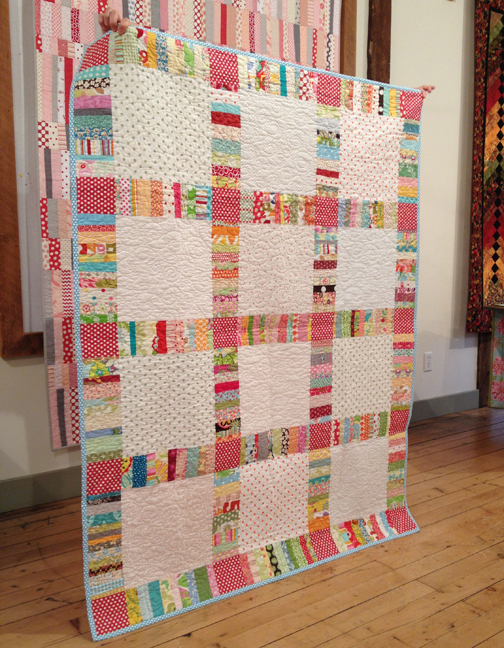 Here is the cover quilt, called Candy Coated. 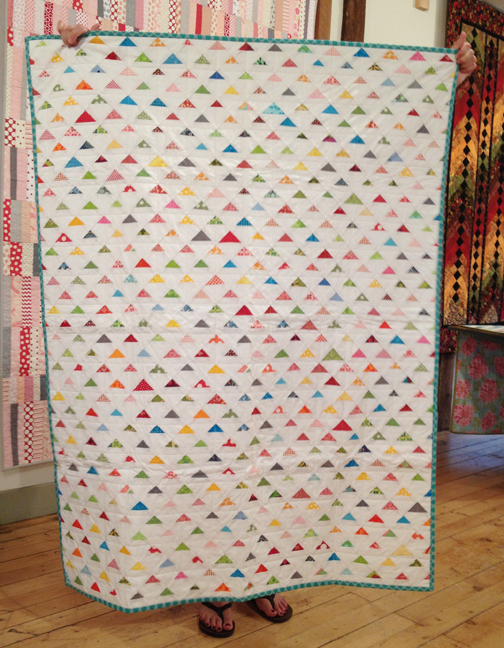 Amanda Jean showed us the original quilt she made of this design and told us that she just wasn't happy with it. 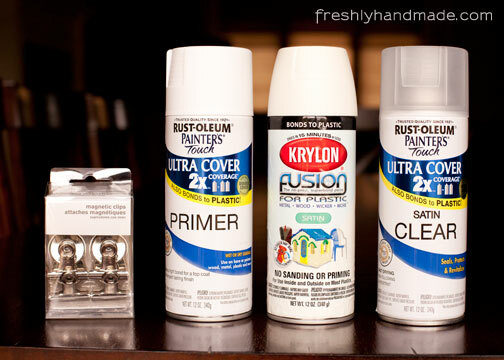 So within five days, she was able to recreate it with the new color scheme that you see on the cover of the book. 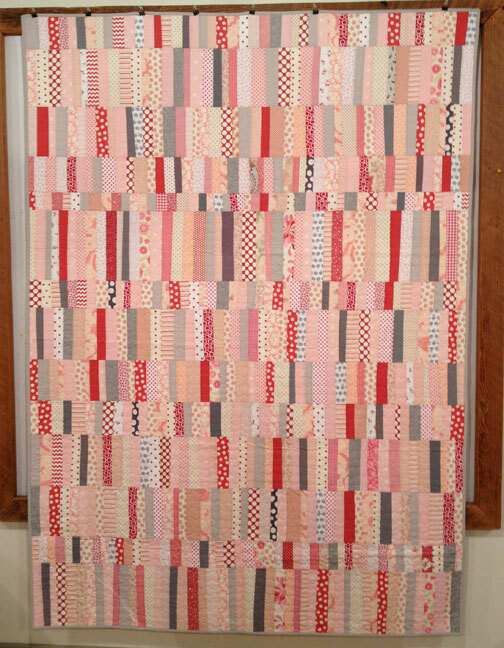 I just love the combination of red, pink and gray scraps. 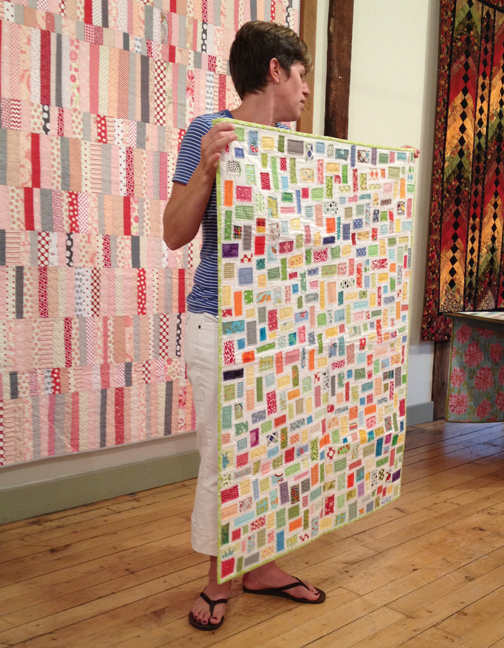 The quilt below, called The Original Ticker Tape, was made by sewing raw-edged scraps onto a white cotton whole cloth. I loved it in the book, as well as in person. 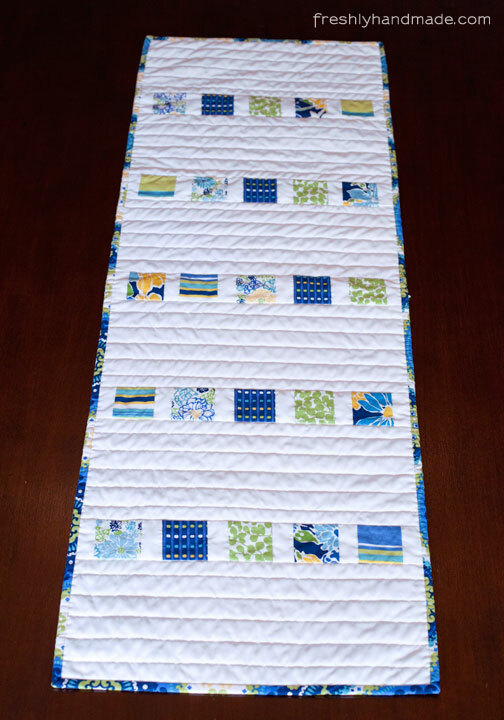 The next quilt is called Up, Up and Away and is made from what is left over when joining and trimming binding strips. 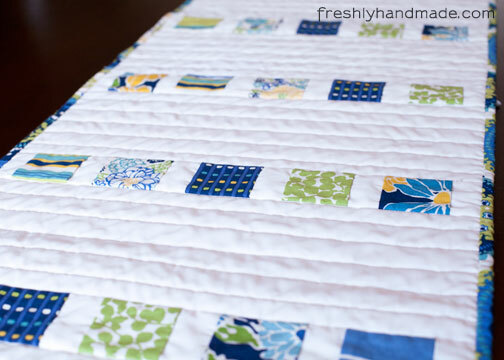 I just kept thinking that you'd have to bind an awful lot of quilts to complete this one. But, what a great end design. 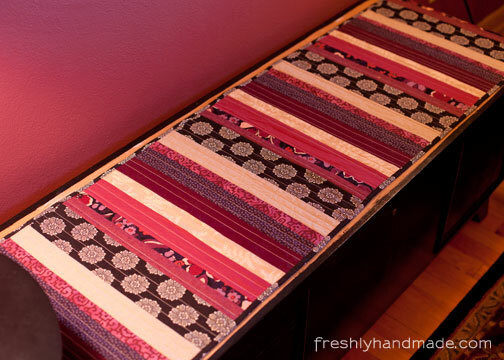 I just might reconsider keeping my binding scraps in order to make one of my own. 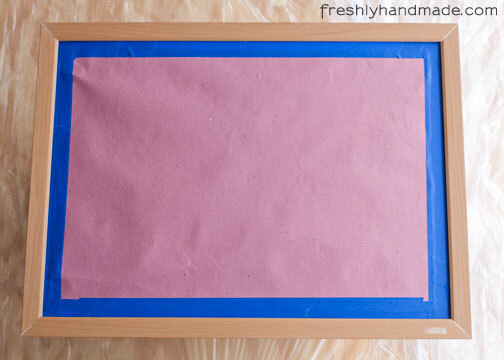 Checkerboard is made up of of simple 2-1/2" squares. 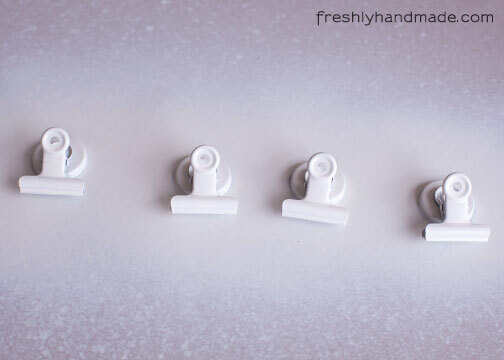 I love the combination of solid white and pretty much any scrap you can imagine. Anything works in this pattern. Pictured on top of the quilt are the scrap bins that are also in the book. 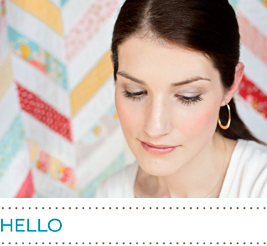 The next couple of quilts are Amanda Jean's versions of the patterns that Cheryl Arkison, her co-author designed. 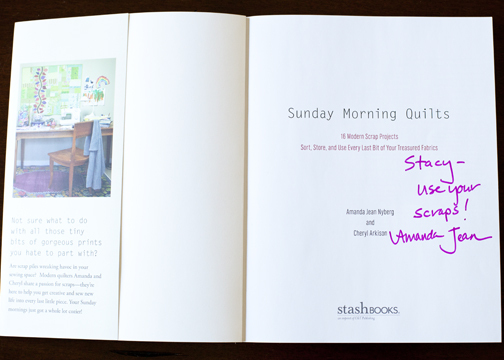 Sunday Morning Quilts gives namesake to the book. 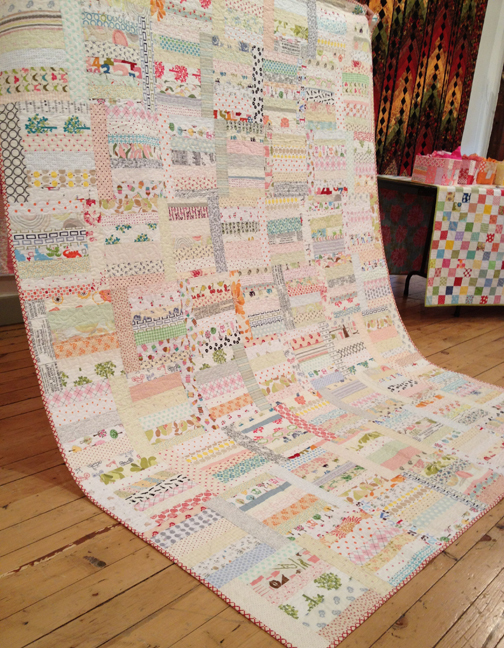 This low volume quilt design is so calming and Amanda Jean created a beautiful rendition of her own. The quilt named Grass is quite different in the book from Amanda Jean's version below, but when I saw this quilt, I gasped. It was so beautiful. 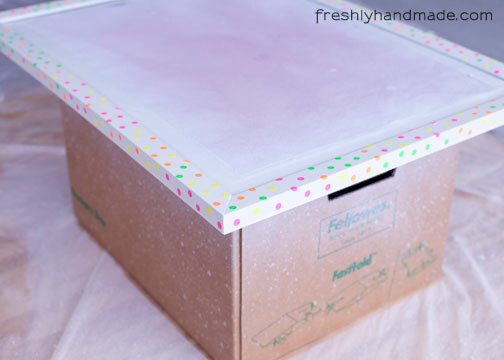 My favorite part was the red and white polka dot fabric that adorned each corner. I wish I would have photographed more of the quilts that she had shared, including Gumdrop, Splash, High Five and Scrapper's Delight. All of them were so amazing. Amanda Jean was very personable and relatable. Seeing her work and hearing her stories was so inspiring. 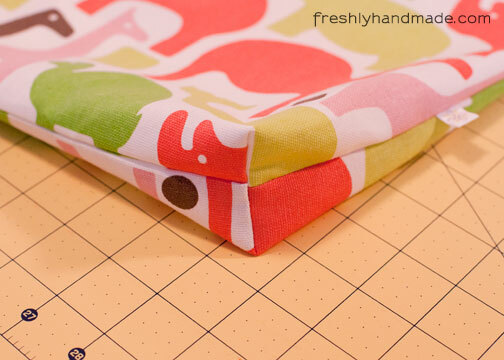 I tend to work with coordinating fabrics because I have an eye for like and complementary colors and patterns. 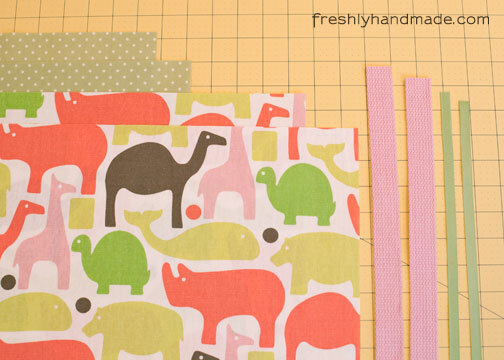 Scrap quilting is completely different. I imagine how liberating it must be to sew random pieces together to create a one of a kind quilt. 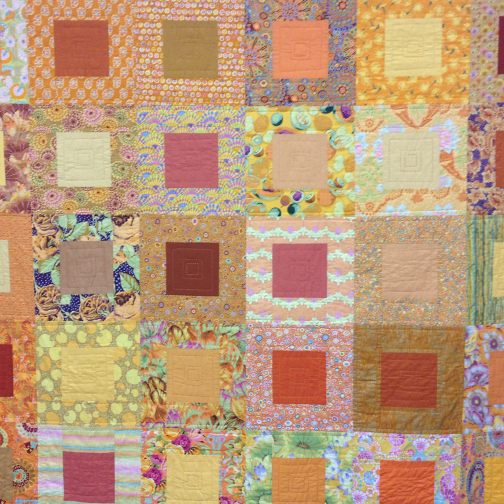 I will continue to work through my stash and create scraps so that I can create some of my own unique quilts. In the meantime, I will cross my fingers that Amanda Jean will start book number two. I am just getting back into the swing of things after an eventful four days. 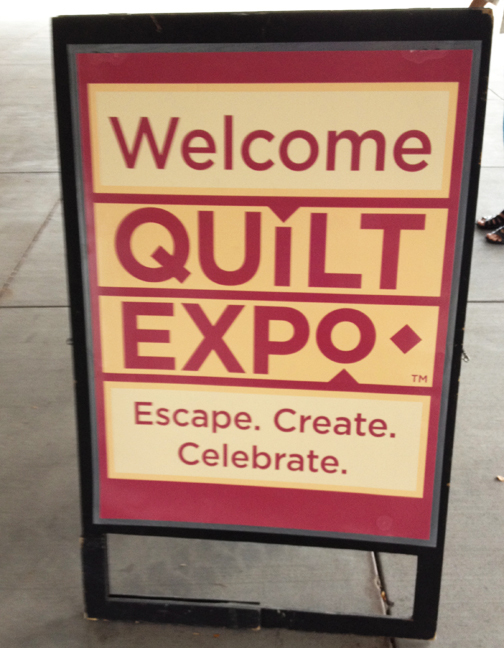 Last week, I attended Quilt Expo in Madison, WI for the first time. It was a huge event full of vendors, lectures and quilt shows. I took full advantage of the lectures that were available to me. I learned something with each one that I attended and was able to meet some great people as well. 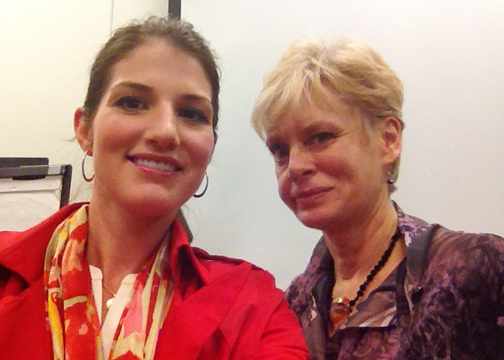 It was an honor to meet sewing icon and TV host, Nancy Zieman, who started Quilt Expo. 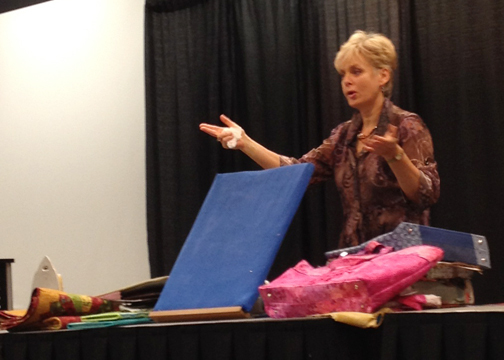 I sat in on her lecture which gave the audience insight into 30 of her sewing and quilting tips and techniques. She was engaging, light-hearted and funny during her presentation. What I liked most is that she said it is okay to break "the rules." In fact, she said the sky opened up when she started to break the rules herself. There were a wide variety of art quilts on display and almost all of them were incredibly detailed. Many were so insanely intricate that it was hard for me to wrap my brain around how a person visualizes the end design when they begin. I admittedly have more simple taste in quilts, but to think of the amount of time these quilters put into their quilts was astonishing. I would never have the patience. You can see some of the winning show quilts here. Below are a few of the quilts that I found a bit more in line with my style. 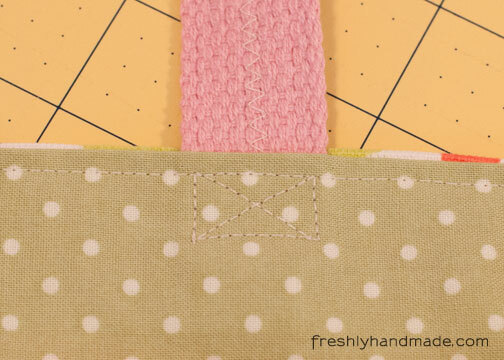 I liked the simple square design, the colorful patterns and the hand stitching on this one. The woman who made this quilt happened to be from my hometown. The colorful diamond spiral design on this one caught my eye. 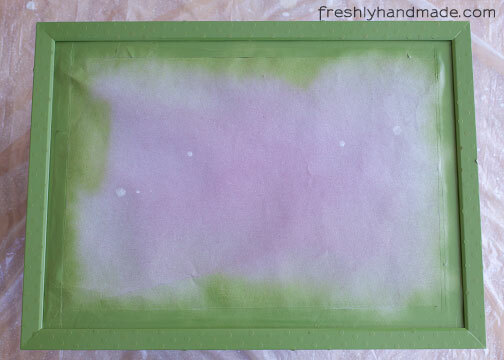 I can see me making something similar using muted colors or scraps. I thought this tie dye quilt was interesting and creative. 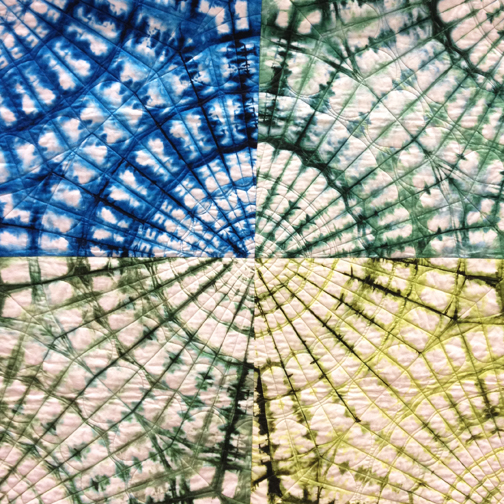 It's pretty amazing how the tie dye pattern matches in all four squares. 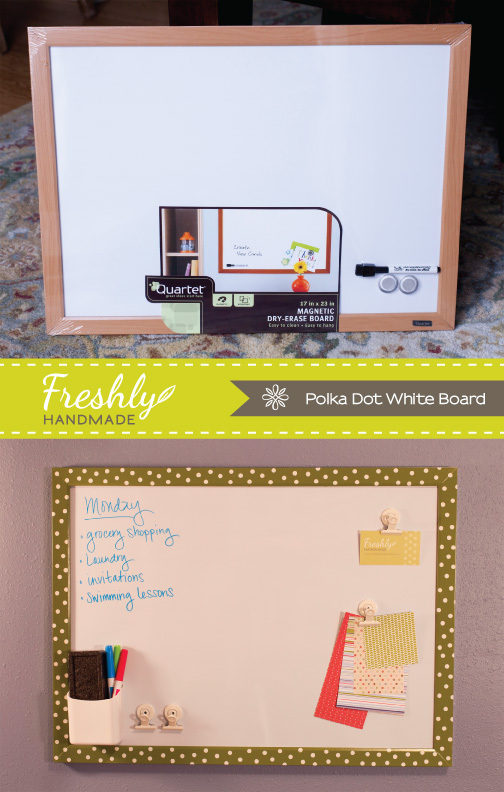 This one inspires me to do something similar with my kids. And what would an expo be without lots of fabric shopping. I saw tons of fabric and loved every minute of it. 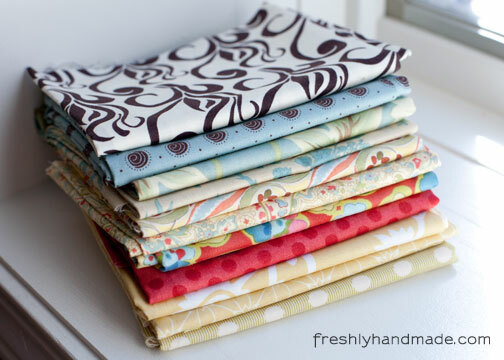 A pretty assortment of lavender fat quarters. I usually don't buy purples, but as I was rummaging through the huge array of fabrics, I kept pulling out these lavender prints. 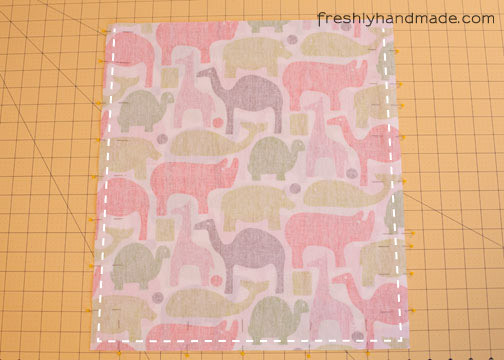 I think they will make a lovely girls quilt. 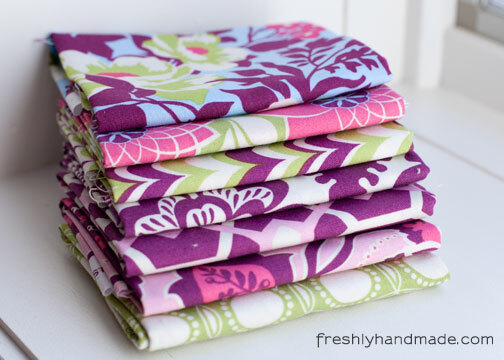 This stack is made up of random fat quarters that I just couldn't put down. I'm such a sucker for polka dots - any size, any color. I bought this bundle of Joel Dewberry fabrics because I purchased quite a large piece of the Chrysanthemum in Chrysanthemum print (2nd from top) a couple months ago at a closing sale. I was wondering what to do with it. Hopefully having some other prints from the collection will make it easier to use it. It's quite bold and different from my usual fabric choices, but I've decided to stretch myself. I like bright, but all that purple is new to me. 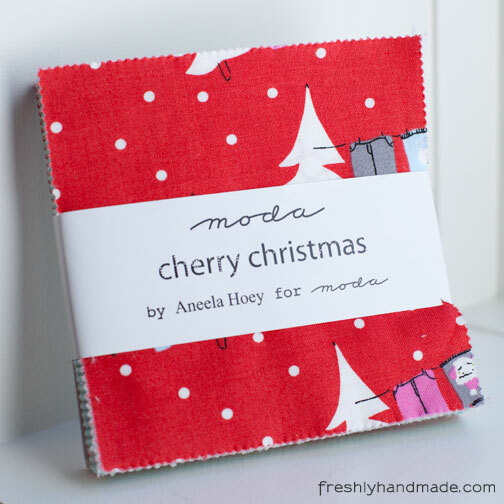 I've been eyeing up Moda's Cherry Christmas collection, designed by Aneela Hoey, and found this charm pack to get me started on a holiday quilt. My mom attended one day of the show with me and she too found herself unable to resist all the beautiful fabric. 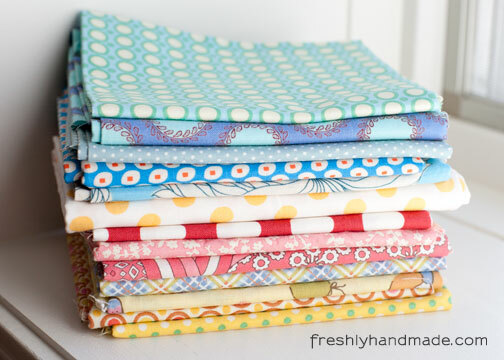 Here is her selection of fat quarters. She wasn't sure she'd ever get around to actually making something with them, so I volunteered to get her started. Needless to say, I think I have enough here to keep me busy for awhile. 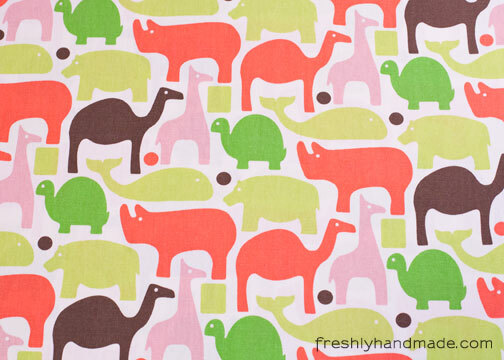 When I saw this fabric, I fell in love. 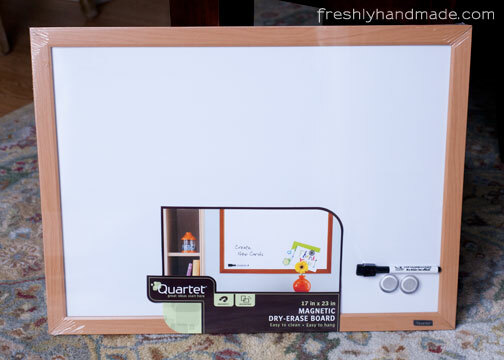 When I saw it was on clearance, I had to buy it. 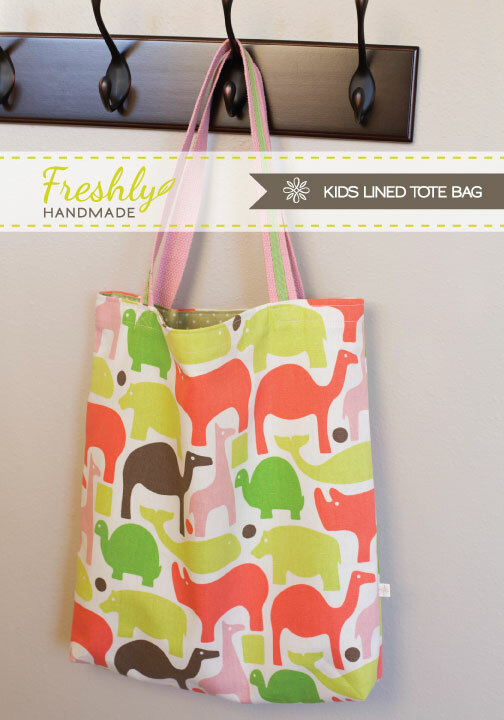 I knew immediately I was going to make a new tote bag for my daughter. I am finishing it just in time for school to start too. 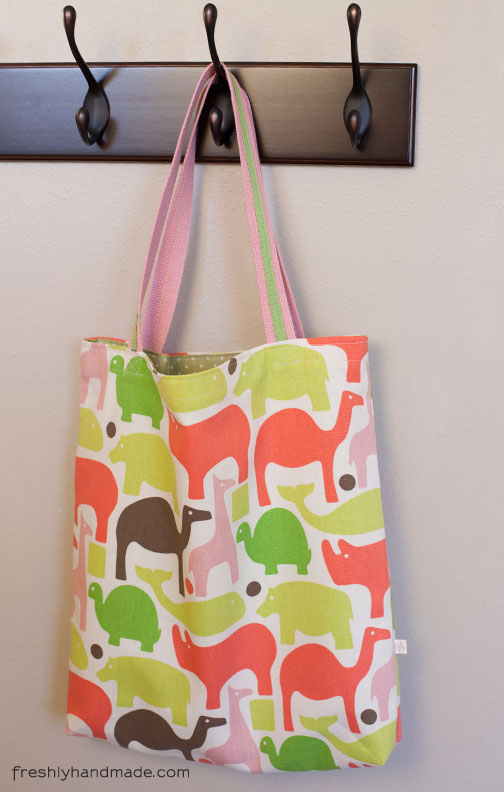 The bag measures approximately 15" wide x 16" high. 1. 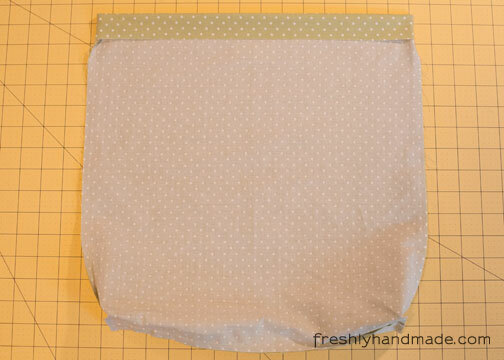 With right sides facing, pin and stitch along the sides and bottom of the outer fabric. 2. 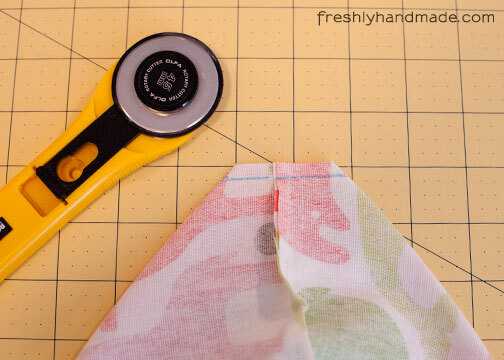 Match one of the side seams to the bottom seam inside the two pieces of fabric to create a triangle at the corner. 3. 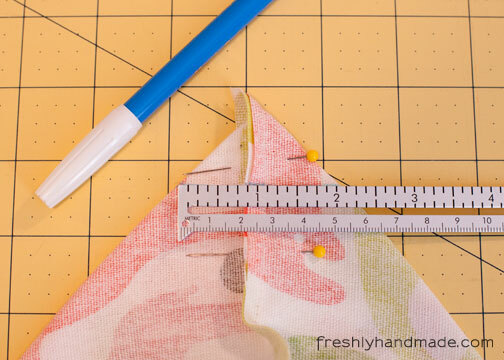 Measure 1" on each side of the seam and mark the line with a water-soluble pen. 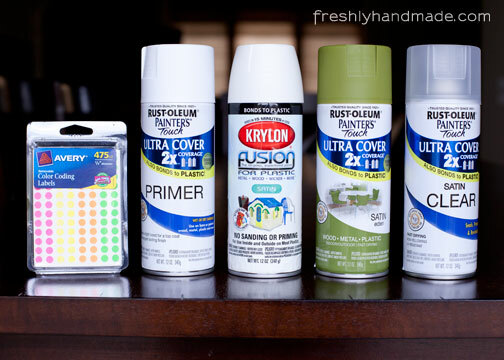 I like to pin above and below the mark as well. 4. 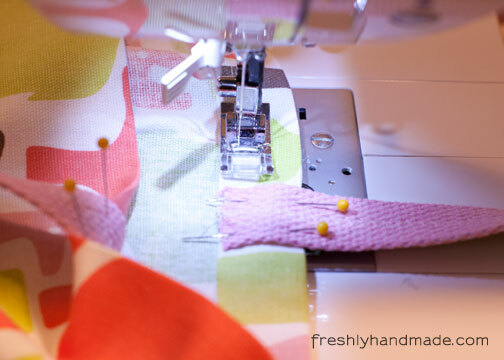 Sew along the line and backstitch at the beginning and end to secure the stitches. 5. Cut the corner 1/4" from the stitches. 6. Repeat steps 2-5 for the other corner. 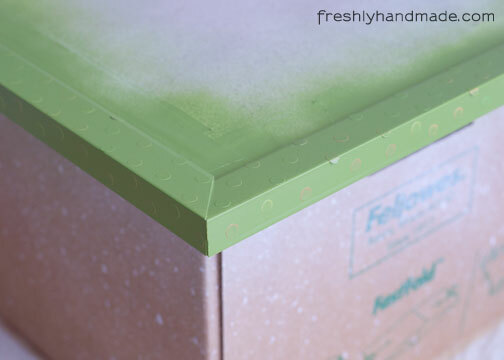 This creates a corner seam that looks like this when the bag is right side out. 7. Repeat steps 1-6 with the lining fabric. Set aside the bag. 8. 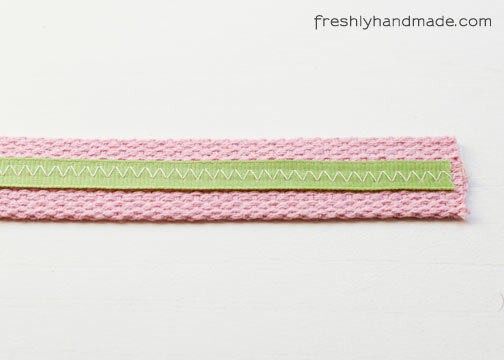 For the straps, stitch the grosgrain ribbon down the center of the belting using a zig-zag stitch. 9. 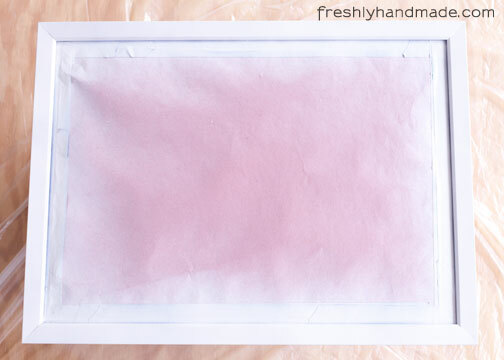 With the outer fabric facing right side out, fold the top into the bag 1" and press flat. 10. 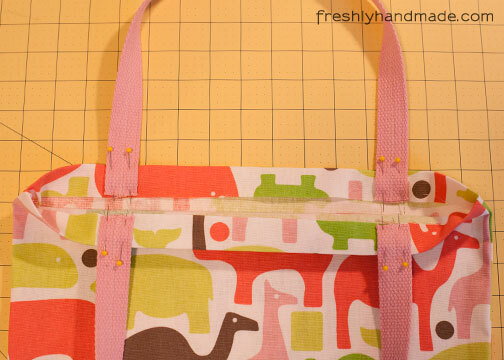 Pin the straps (grosgrain ribbon facing out) to the inside of the bag 1" down and 3" from each side seam. 11. 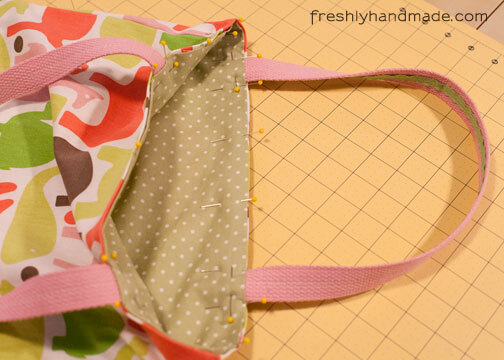 Stitch around the entire bag near the raw edge to secure the fold and the bottom part of the straps. Backstitch at the beginning and end. 12. 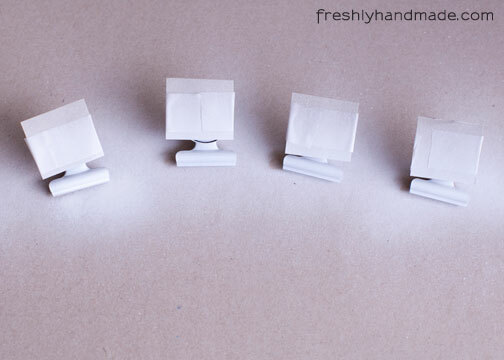 On the lining fabric (right sides facing), fold over the top edge a bit more than 1". Press flat. 13. 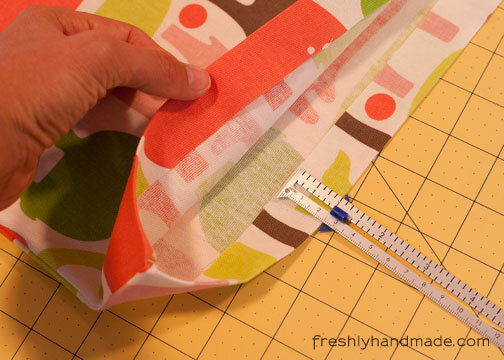 Insert the lining fabric into the outer fabric, aligning the side seams. 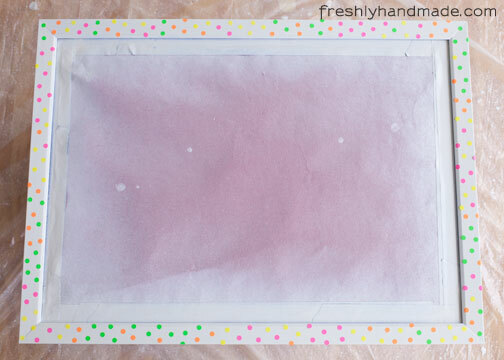 Pin the lining fabric slightly below the top edge of the outer fabric. 14. 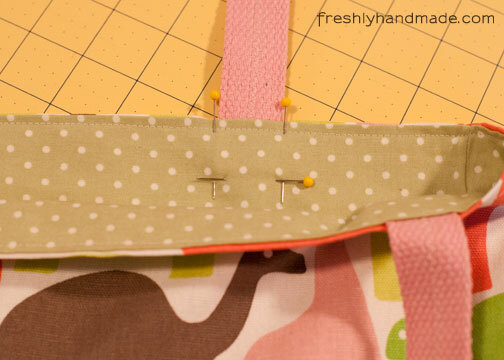 Stitch around the entire bag near the top edge to secure the lining fabric. Backstitch at the beginning and end. 15. Stitch an "X" on the concealed parts of the straps (lining fabric facing up) for added security. I like to place pins on both sides of the straps so I know where they are, and a pin across where the stitches already are on the outside, near the bottom of the straps. That way I can stitch over the bottom stitches in the same place. It just looks neater. 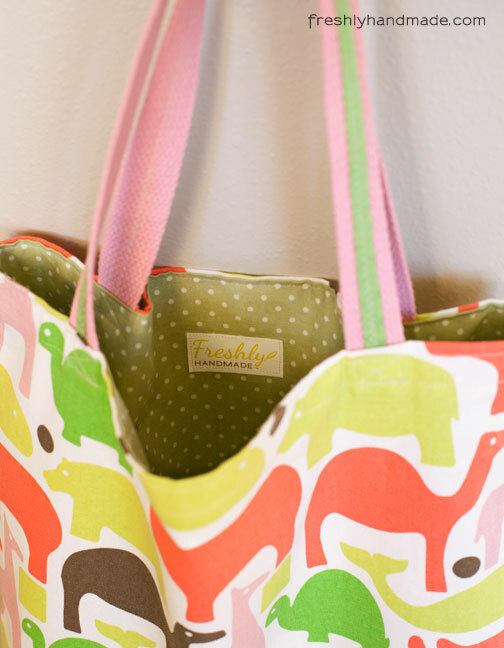 The alternative is to stitch with the outer fabric facing up, but it's a little more challenging to turn the bag around the sewing machine. If you have a free-motion foot, you don't need to worry about turning the bag. 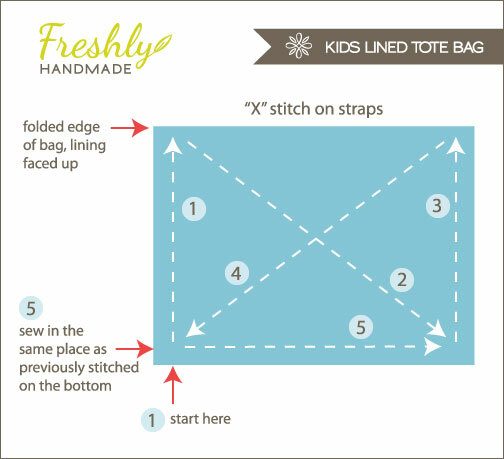 Below shows you the stitch pattern for the "X". 16. Press the entire bag.